Which is worse: FOOD or HEROIN? Eat differently privately than you do in public. If you say YES to any of these, Listen Immediately…this book may change your life. 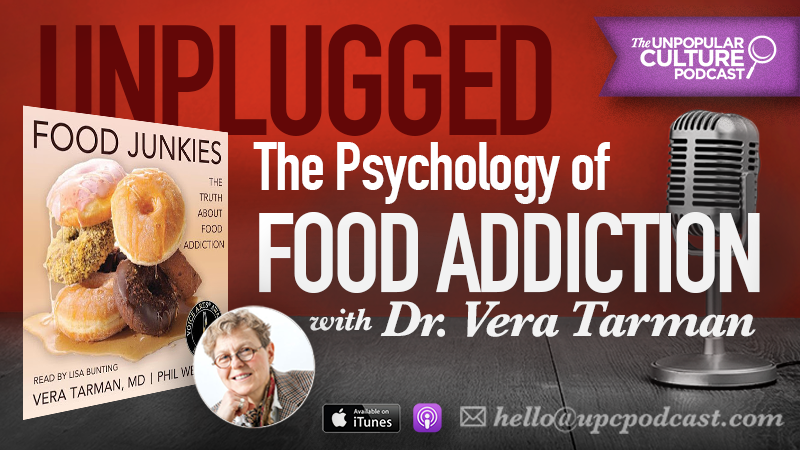 We interview Dr. Vera Tarman on her audio book FOOD JUNKIES and discuss the psychology and biology behind food addiction and how to get your life back. Overeating, binge eating, obesity, anorexia, and bulimia: Food Junkies tackles the complex, poorly understood issue of food addiction from the perspectives of a medical researcher and dozens of survivors. What exactly is food addiction? Is it possible to draw a hard line between indulging cravings for “comfort food” and engaging in substance abuse? For people struggling with food addictions, recognizing their condition ― to say nothing of gaining support and advice ― remains a frustrating battle.